Power and control struggles are at the heart of much of the relating of those with Borderline Personality Disorder (BPD). The underpinnings of BPD are firmly established in dysfunctional and polarized distorted and magical thinking that, in relationships, results in power and control struggles with others. Often these power and control struggles do not take place on a conscious level. They are rather the by-product of the loss and dissociation from true self that leads those with BPD to feel helpless, powerless, and hopeless – essentially lost and often very angry about that too. The reason that so many with BPD feel the need to struggle for power and control stems from what is essentially their trying to live for or through others. The lack of known self drives the kind of projection (the attribution of one's own attitudes, feelings, or suppositions to others) that blurs the boundaries between where a known self would end and others begin. Without personal boundaries those with BPD often end up feeling helpless when they relate to others because essentially they ascribe everything about how they feel and what they think as taking place in others. (And often what they feel and/or how they may judge others those with BPD then believe that others are judging them. It is this very process of projection that leads to untold feelings of helplessness and varying degrees of experienced regression that leaves many with BPD feeling (on a conscious of sub-conscious level) as if everything in their environment is somehow connected to them. This is the futile defense of narcissism that raises its head when the Borderline without personal boundaries feels literally like they have no emotional skin separating them from others and the world. What is meant by Power and Control Struggles? Power, in a paradoxical and healthy environment and personality, is best described as the ability or capacity to perform, behave, or act effectively and appropriately. The misuse of power that is often seen in those with BPD is usually the borderline over-compensating for feeling powerless or helpless and/or hopeless. Power that is exercised in a maladaptive and defensive presentation as seen in BPD often results in abuse and punishment, manipulation of others and the environment to try to re-assert a sense of safety and personal control. Personal control can often only be felt to have been regained when one (with BPD) intimidates or exercises control and/or power over another. This is often seen, for example, in the dance of “get away closer” wherein the Borderline struggles with a desire for closeness and intimacy while feeling annihilated by it at the same time. This personal control is lacking and that is what causes the borderline to react in ways that are transgressing boundaries and age-appropriate behaviour and causing him or her to overtly or covertly control those around them and the environment. Power and control struggles of many with BPD are reenactments of very young childhood attempts to individuate that for most with BPD failed (or they didn’t feel, perceive or understand this sense of development) leaving behind enmeshed styles of relating. Control is really about regulation. Emotional regulation, personal regulation, thought regulation and the ability to be centered and grounded within one’s self. For many with BPD, in the absence of a known authentic self they project most, if not all, of what should be their inner-reality onto those around them. Therefore, when they feel out of control it is others in the environment and/or the environment upon which they exercise the kind of intimidating, invalidating, self-absorbed and often abusive dominance that they need in order to feel that they have protected themselves. What they are actually protecting themselves from in the here and now is the past and is also their own inability to regulate themselves internally. This control can be insidious. Often is it is presented with the kind of manipulative skill that leaves those around the borderline feeling like they are crazy and confused as to what is actually happening between them and the person with BPD. This can be the case when, for example, someone with BPD self-harms and/or engages in or acts out parasuicide or suicidal ideation or desire which are often a cry for help, attention, and a way of controlling what they feel. (And often those around them whether they realize this or not.) In the long run these types of dominating, controlling behaviour that externalizes the internal chaos of the Borderline on to those around him/her are very distancing to others. Unchecked “get away closer” usually, at some point, will result in the loss of others around one that is experienced and re-experienced as abandonment by those with BPD. In order for relating to be healthy each person has to be honest and taking responsibility for his/her behaviour, feelings, and issues. While this inner-void is likely to some degree felt by all humans who are alive, it is the intensity and unwavering experience and acting out of this experience by those with BPD that make their style of power and control struggles like an addiction onto themselves and so devastatingly divisive, defeating and often abusive. This inner-void is prominent in most with BPD. (until they receive enough therapy to begin to invest in getting to know who they really are versus just protecting all that they are not. Those with active BPD are enmeshed. Enmeshed with their pasts. Enmeshed with family of origin issues. Enmeshed with trauma. Enmeshed with all that results when people born with a proclivity toward being very sensitive meets with (what seems like or is) an invalidating environment and/or unregulated emotions projected onto others and for which many with BPD abandon all responsibility. For many with BPD this void, this lack of a known authentic self, coupled with unresolved abandonment trauma leaves borderlines often reacting in highly sensitive and instense ways. Borderlines often feel the Shame of Abandonment that creates dysregulated emotions that stress them to the point where their first reaction to so many things relationally is rage. Rage is often seen as an abusive effort to control, and while there is this facet to it, borderline rage is much more complicated than that. It is often a protective reaction to thwarted needs, feeling or being rejected, abandoned, or invalidated. It is an emotionally immature response to unresolved abandonment trauma from the past that causes emotional dysregulation in the here and now. This emotional dysregulation fuels the narcissistic and protective borderline false self as it feels out of control and as a result exercises (often) abusive control in an attempt to overcompensate for vulnerability often not realized consciously by those with BPD and for which the borderline lacks the inter-personal skills to cope with. 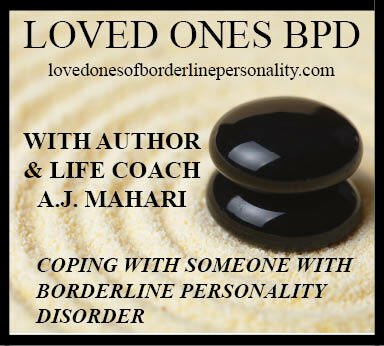 Those with BPD are enmeshed with others because they lack any known sense of self. This enmeshment is often seen in the projection that those with BPD inflict upon themselves and others. They are essentially so enmeshed with their polarized thoughts, unmet needs, unresolved emotional conflicts that stem from the core wound of abandonment that they can’t see you (other) for who you actually are - as someone separate from them - because they have to see you for who they think they are, or more classically, for who their mother or father was (or abuser was). Both those diagnosed with BPD and anyone in or who has been in a relationship with them will greatly benefit from gaining as much understanding of BPD and the Impact of the Core Wound of Abandonment so that they can gain much needed insight and awareness into the power struggles that covertly or overtly are a part of this relational dynamic. Borderlines (again until they do considerable healing work in therapy) have not individuated. They do not have much, if any, working understanding of the true self within that needs to mature past the point where emotional development was arrested for whatever reasons. Philip Kavanaugh is quoted by James Redfield, in The Celestine Prophecy, Pg 84, “Individuation begins when we look inside ourselves for answers when we stop blaming others for our feelings and begin relating to our emotions and intuitions as our teachers”. In order for anyone diagnosed with BPD to individuate it is essential that he or she learn to take personal responsibility for how they feel, how they think, what works and doesn’t work in his/her life. This process of individuation is a huge part of the maturation beyond arrested emotional development. The kind of arrested emotional development one has experienced and subsequently been stuck in the self-defeating cycle of perpetually. Healing and recovery from power and control issues demand that those with BPD not only individuate but also take responsibility for choices made. No matter what happens to us in our lives or what needs are or aren’t met, whether or not we are abused and so forth, each one of us has to choose to stop investing in the blaming of others (or blaming ourselves for things we couldn’t control as children) and the continuing to invest in being a victim of our pasts, our parents, our lives, and/or our life circumstances. Power and control struggles are no longer necessary when one actively assumes responsibility for him/herself. What emerges then with an individuated known true self is an open non-polarized thinking person who makes an active choice to mature, to heal, to recover, to learn and grow – to be open as opposed to the polarized Borderline choice to remain closed and protective seeing and experiencing everything and everyone as threatening. It is these perceptions that cause those with BPD to remain entangled and enmeshed in the power and control struggles that are essentially the roots of normal development throughout childhood to individuate and create and support one’s own true identity. Power and control struggles and the manipulation and deceit that accompany them will give way to limits and boundaries, goals, known beliefs, ethics, values and choices. This can only happen when those with BPD make the choice to invest in recovery rather than continuing to invest in staying lost, enmeshed, and protective of what is a very self-absorbed and annihilated place and way to be. Polarized thinking keeps the need for power and control struggles alive also. Learning to think in rational, pragmatic age-appropriate ways that make paradoxical thinking and living possible will extinguish the need to try to have control over anyone but yourself or to try to take power from anyone else. Power and control struggles are only made necessary in the absence of age-appropriate maturation that is a direct result of the arrested emotional development of those who are diagnosed with BPD. Choice is everything. Choosing to recover must be an active choice to stop engaging in self-absorbed, self-protective regressed behaviour that does not and cannot serve one in adulthood. Power and control struggles are made necessary by the absence of true self and by a lack of boundaries, limits, goals and age-appropriate honest assertion of one’s needs and desires. © Ms. A.J. Mahari, June 20, 2005 - with an addition July 3, 2008 - All rights reserved.